@GOJAM what do you make of the words BLK MAGIC appearing on clwd council document in relation to bryn estyn? well, get a grounded penetrating radar and search the area, Fact or fantasy? 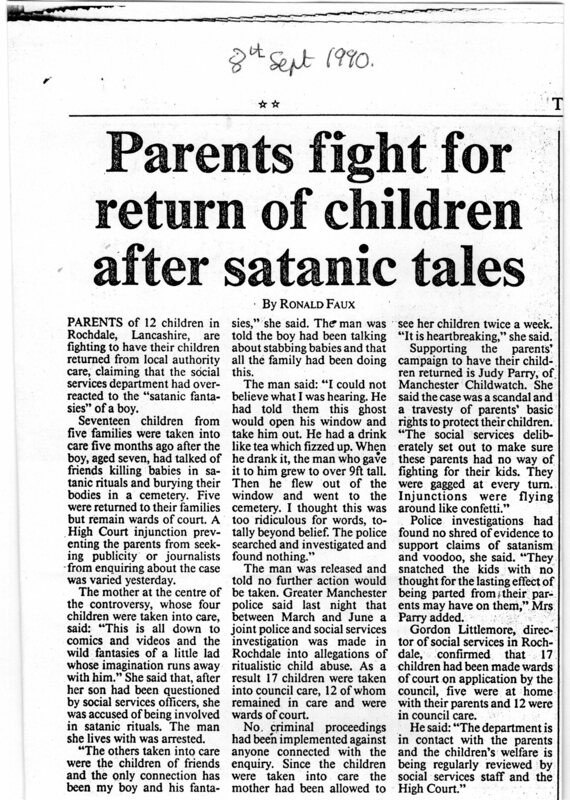 The 20 years since the Orkney Islands satanic ritual abuse investigation also just passed, were they calls fro the children taken away (now adults) to say the authorities got it wrong? That their parents were innocent? No. Not one of those reporting abuse spoke out. Yet here we are post-Savile, post-SRA in Wales and people try to debate the existence of ritual abuse.